During the 2016 presidential election, Trump promised to prosecute Hillary Clinton and put her in jail, while the former secretary of state and first lady called him a "puppet" of Moscow. Footage from George H.W. Bush's funeral ceremony shows the incumbent US president and his wife Melania taking their seats in the first row. Both greeted Trump's predecessor, Barack Obama and his wife Michelle; however, the Clintons and Donald Trump seemed to ignore each other, avoiding eye contact. — Dre (@_iiTweetURead) 5 декабря 2018 г. — Watchmen News (@watchmennews911) 5 декабря 2018 г. Some noted that it would simply be inconvenient to shake hands across two seats occupied by the Obamas. Actually, Mrs. Trump shook hands with both the Obama's&Bill Clinton. Hillary looked her way&smile& nodded as it would b rude 2 lean over 3 other people. Trump shook hands with both the Obama's but that was it I would like to give him the benefit of the doubt for the same reason. — Christine Cary (@christine_cary) 5 декабря 2018 г. Other users, on the other hand, criticised Hillary and Bill for their lack of decency towards President Trump. 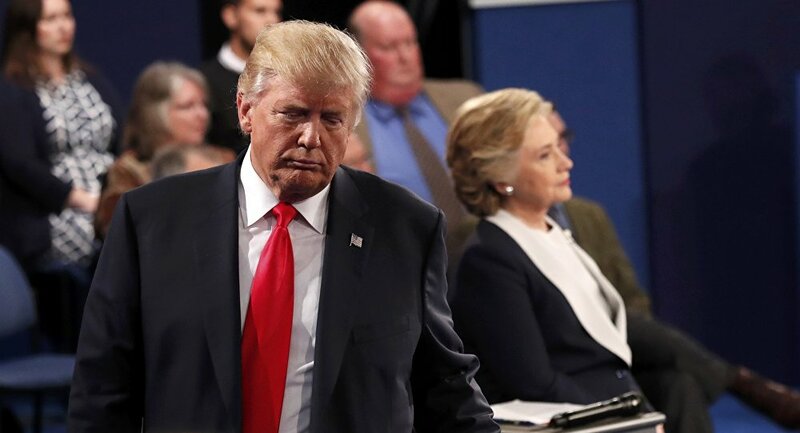 Hillary Clinton so mad at Trump, she didn't even look over at him when he sat down. — #ThePersistence (@ScottPresler) 5 декабря 2018 г.
I hear that the Clintons had to cancel their speaking tour for a lack of public interest. Let them snub on that for a few days. Perhaps President Trump was inquiring about how the ticket sales we going for their tour. — Larry P Thomas (@larrythkw) 5 декабря 2018 г.